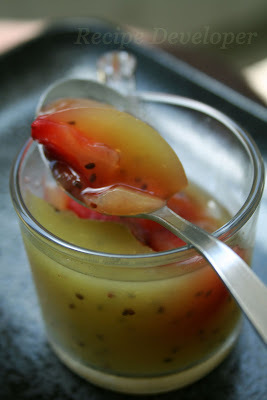 Making Kanten Jelly is still going on...This time, I used pureed kiwi fruits and some diced strawberry with it. The package of Kanten powder which I have been using contains 2 grams. And you can use 1 cup of water per package. So, I could've measure the kiwi puree and add some water until 1 cup, and use the kanten powder. 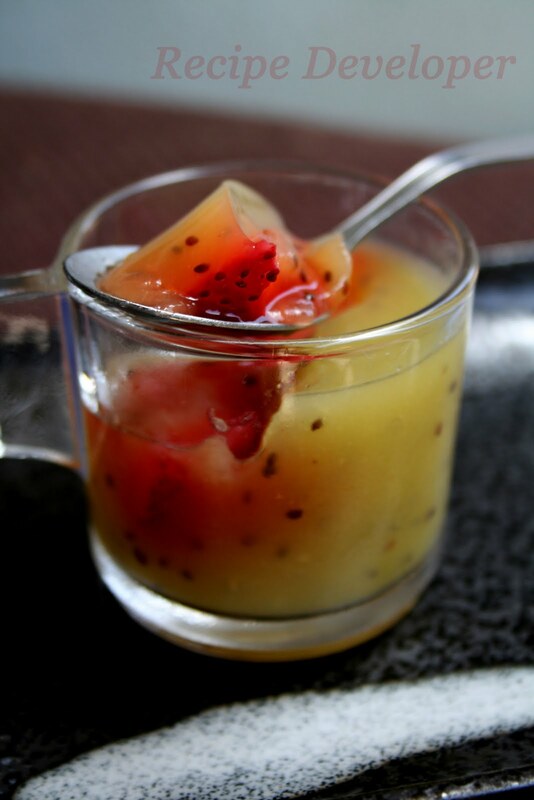 But, I use a whole cup water and add the kiwi puree to the water, which makes jelly more softer and watery. Here the Kanten Jelly looks nice in a glass cup, but it got way too watery for it's texture. But I liked the crunchy texture of the seeds and the taste combination of kiwi and strawberry.